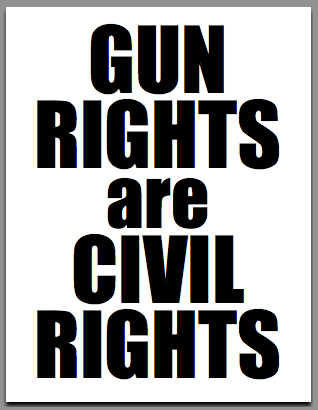 Gun Bubbas are suddenly "Civil-Rights Activists"
BUT THESE ARE OK AND ARE UP NOW! Let me clarify about the ketchup vs. salsa thing from last time. The multicultural-minded, amnesty-promoting, diversity-preoccupied anything-for-a-headline "independent" lamestream media relished (tasty word choice) the story they all ran (they all ran!) about salsa outselling ketchup. They also said Mexican food, tacos and burritos, are no longer ethnic food, reported in Page Nine No. 129. I called bullsh!t on them. A few of you complained. So here's my apology. Information Resources, which tracks purchases at roughly 35,000 stores, found that through August 12 of this year, ketchup smothered salsa in pounds sold, 330 million to 185 million. But, ketchup bottles are bigger, so it only squeaked over salsa 176 million to 174.9 million in units. But because salsa costs more, it wins on dollars, $462.3 million to $298.9 million. But, that doesn't account for ketchup packets (only indicated as billions in the Wall Street Journal story that covered this) given away at fast food joints. The point is, while islamist jihadis are taking over Mali (and much of the middle east), the communist Occupy movement is operating covertly here domestically, neo-nazi fascists are organizing in Spain (and elected in Greece), one scandal after another goes uninvestigated and unpunished domestically, czars are running wild and unaccounted for in our own government, and all sorts of mierde is hitting the fan, the Fourth Estate is telling you burritos aren't ethnic food, and that ketchup -- which is everywhere -- is less popular than salsa (from a "disadvantaged" group) -- which is hard to find. So clearly, something's wrong, and I do apologize. It's not hard to catch many gun owners in this trap. Walk them through a mental exercise about home self defense. Mentally set up an assault scenario, and let them come out the victor. Surprise them at the end with the idea that the goon they beat had an accomplice they didn't see or even think about, and they end up losing. Works almost every time. 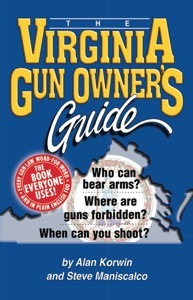 United States Concealed Carry's excellent magazine adds a novel wrinkle -- the Tail Gunner. That's the hoodlum in the restaurant, planted there before a stickup, to act like just another victim and keep watch for undercover cops -- or CCW heroes -- to take them out. It's yet another good reason to generally prefer a seat with your back to a wall, with a view of the room, near an exit, and to avoid being a freelance police officer. Besides, it's better for ogling. Am I allowed to say that? 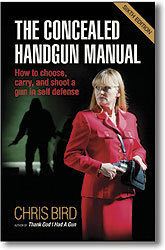 New gun safety rule from my recent book After You Shoot: "It's always better to avoid a gun fight than to win one." If innocent life doesn't immediately depend on it, hold your fire. Click the link, read more. I'll be staying at the New York, New York hotel. who works for Gun Owners of America. AN ACT  To extend the Undetectable Firearms Act of 1988 for 10 years. in Congress assembled,  SECTION 1. EXTENSION OF UNDETECTABLE FIREARMS ACT OF 1988 FOR 10 YEARS. by striking ``25'' and inserting ``35''. Perpetually crafty N.Y senator Chuck Schumer waited until the last moment to introduce an amendment to require unremovable metal parts for all firearms, on this "must pass" gun bill. That could have outlawed any gun that had wood parts, or any removable parts that were not made of metal, depending on who interpreted the statute. Oddly enough, a copy of his amendment has not been retrievable before press time. Previous amendments, by both House and Senate, had proposed adding undetectable ammo magazines to this statute, but both of those had been removed before passage. I had brought this potentially disastrous situation to public attention, saying a single change to the number "25" was all that was needed, months before the media jumped on it in the final hours. Before voting for the bill, democrat Sheila Jackson Lee said, "I support this legislation because it will help reduce gun violence and keep dangerous weapons out of the hands of terrorists." Right. Democrat Steve Israel, commenting before voting, said, "I am not going to oppose this first step because we can't get all of our steps. We will step forward and continue to support the modernization of the Undetectable Firearms Act. This for now is a very good step," and he expressed support for Schumer's unremovable metal parts plan. Legislators are, of course, removable. Several others expressed support for other rights limiting laws, including one, HR1565, called the "Public Safety and Second Amendment Rights Protection Act." Following standard democrat's procedure, it has nothing to do with rights protection. The "news" media uniformly fails to include bill numbers, making it difficult for the average person to look up the actual bills. Must be because of how much space bill numbers take up. "In all, more than 500 SWAT and law enforcement officials searched the mall while an estimated 400 people remained trapped inside, Molinelli said." Even an ignorant civilian like the Uninvited Ombudsman can see that an enemy, intent on causing havoc, can play upon the over-eager geared-up, military-minded, unregulated macho cops who flood into an area, leaving every other nearby place under-protected. It's called lack of a plan and... create a diversion. If you had to define "overreaction," 500 SWAT and police responders to the sound of gunshots would be perfect. 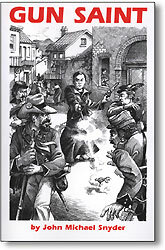 No commanders were held responsible for the poor allocation of forces. The cost to the city was undisclosed. Lone muslim jihadis intent on causing havoc need only fire a few shots in a mall, in a few cities simultaneously, and Xmas shopping season is over. They know this, we're not revealing secrets here. Police obviously -- obviously -- are so high strung and unprepared, they flock to the sound of anything unusual, and leave every other duty behind. It is unfathomable that command and control allowed 500 armored police (if you can still call them police) flood to the site of one 20-year-old kid with a stolen rifle, who had killed himself by the time they got there. "When seconds count, the (500) police are just minutes away." What would they do if another mall fell under "attack"? Or two? USA Today continues: "'The shooter, for whatever reason, instead of staying and fighting, fled deeper into the mall,' said Chief Kenneth Ehrenberg of the Paramus police department [who almost sounds disappointed, and had to tell his officers to gear down and go home]. Police were still conducting a secondary search of the mall, going store to store and escorting the people still hiding within to safety, Ehrenberg said. He expected the search to continue for several hours. Police were still seeking a motive for the shootings, Ehrenberg said." I'm going somewhere with this: It is time for authorities and rights groups to encourage or even demand discreet carry of firearms by civilians, and to eliminate dangerous and reckless make-believe gun-free zones like the one at the this N.J. mall. No other response will provide the coverage needed to protect the public from this sort of attack. Go ahead, argue with that, all 500 of you SWAT team members who arrived too late to protect the cowering masses, who you escorted to safety in your battle gear. 3- Oral argument in the "Guns Save Lives" censorship case !! So, how'd it go Alan? We find out for sure within a month to a year, maybe longer. The appeals court decides when it wants, there is no time frame for the three-judge panel's opinion (Jones, Norris, Johnsen). This is called "speedy justice." We're going into our fourth year of censorship. I found it a little overwhelming -- I thought I knew the issues, it seemed they focused elsewhere. Twenty minutes for each side is a lot when the concentration level is that high. The judges had studied the briefs, conferenced on the issues, knew their stuff, questioned both sides hard, pressed the city on its stance that classifying and censoring speech was just fine. Anticipation built as the courtroom began filling up for the 9:30 a.m. gavel. (2) Phoenix took its unconstitutionally vague supposedly objective standards (2009, when our ads went up), turned them into wholly subjective standards in 2011 (while our case was under review), and then applied them arbitrarily (all along, all of which are unconstitutional). (3) The city's guidelines prohibit eight specific types of ads but do not even mention political speech (which the city claims it can ban at will, for reasons it excuses in its briefs and orally). 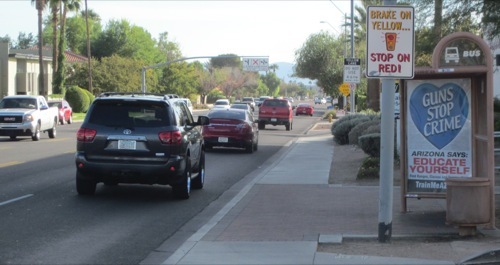 For that matter, the standards don't mention public service ads (PSAs), which the city says are prohibited, but are undefined by them, and are posted all over town. They claim our ads are PSAs, but can't say how they determine this, or how we or anyone else should, or why all the rest are OK and ours are not (part of the due process and equal protection 14th Amendment challenges). The courtroom was full, lots of supporters, plenty of press, ACLU folks, and on that score, the case was a success. 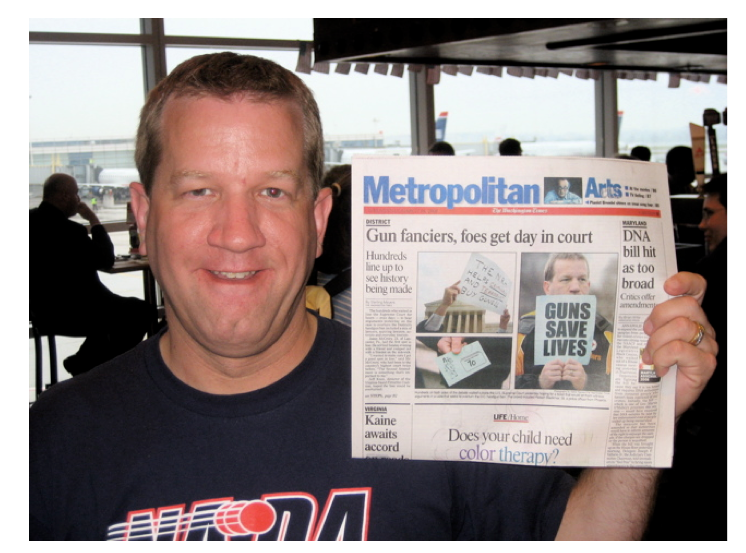 The phrase "Gun Save Lives" is all over the national media, frequently inside that juicy red heart -- this is a message the media almost never voices -- so hooray for small victories. I never expected any of this when I set out to see the entire state of Arizona trained to arms, following our passage of Constitutional Carry. Building a coalition within the firearms industry, to spread real firearms safety to the state just made sense on so many levels. 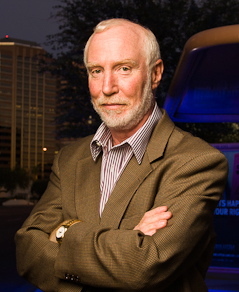 "...The Arizona legislature has enacted vibrant protection of the Second Amendment right to keep and bear arms. 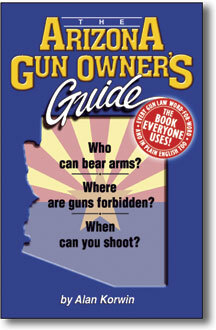 We in Arizona seem destined to set models for the nation -- in this case, a shining example of gun rights for all free peoples of the Earth. The Grand Canyon State has Constitutional Carry. 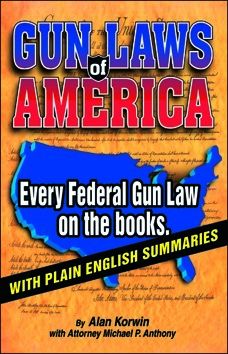 This frees any law-abiding adult in the state -- not just residents -- to discreetly enjoy the right to bear arms envisioned in the Constitution..."
This is designed to educate and motivate people to get training. The city says it shouldn't be 'burdened' with this sort of thing. They admitted in the hearing -- they do not object to the heart and the "Guns Save Lives" part. Good. We'll use it again. In advertising, you have features and benefits. All they want to allow (they say now) is a "commercial proposal." That's a bright line -- you offer something that someone pays for, that's a commercial proposal. 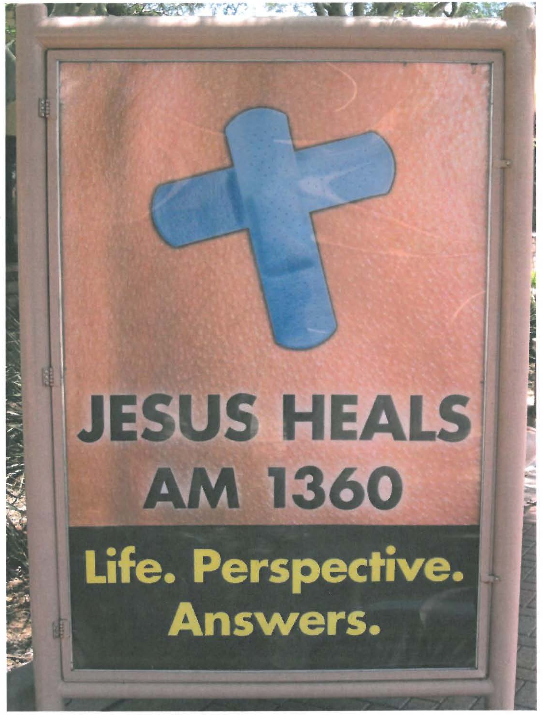 They have ads all over with none of that (free pregnancy test, free veterans counseling, Jesus heals). 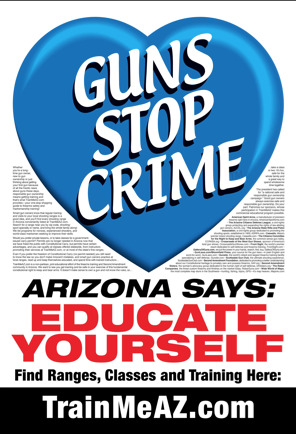 Our says Guns Save Lives, Educate Your Kids, and you pay for the training and range time at TrainMeAZ.com. We qualify. Parents come along with the kids, and do the paying. It's clever. It's an ad. The red Guns Save Lives heart is the headline that attracts your attention to the ad. Their inconsistency is part of our 14th Amendment equal-protection challenge. 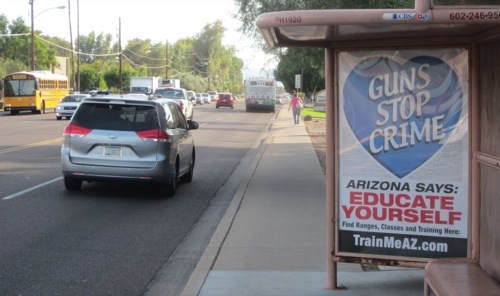 City policy says bus-stop ads must "propose a commercial transaction." The proposal must be "adequately displayed." We can't find one here. Can you? 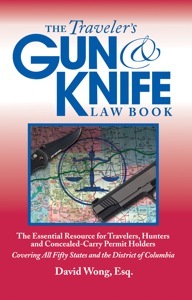 The idea that I can't build a case for taking training by pointing out that our own legislature has enacted supportive laws for our product (real gun safety), and that our nation is built upon our product (firearms), and that our product makes sense (marksmanship) -- that's offensive, that's outrageous, that must end, in my opinion. What will the court think. We wait to see. They city, and no government, should be in charge of what we say or how we say it. Whether it is constitutionally protected political speech, lawful commerce between the states (doesn't firearm training affect interstate commerce? 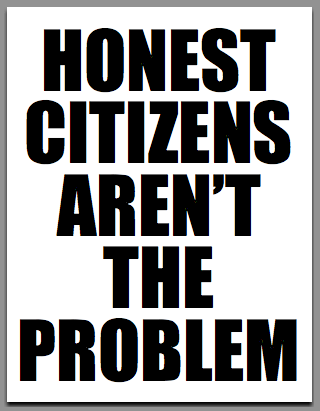 ), or anything else we have a mind to say, our right to say it must stand above the city's petty word mongers. Illuminated at night, the signs are impossible to miss, the message is getting out. We are on high-traffic streets, this one is a main feeder to town from the highway. 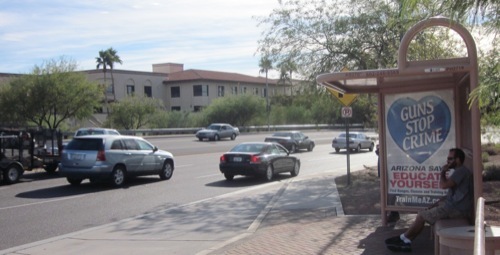 Heading downtown on 7th street into Phoenix. The legal minds see the case coming down to whether the city has legitimate power (sometimes absurdly expressed as "a right" but it's really about legitimate delegated power) to control the words people can use. They want to restrict you to commercial speech, and ban political speech. They have their reasons, and argue for them. Then they sit in judgment and pronounce the words we used as political and subject to censorship. That's not their job, and they have no power to do that, not in my book. 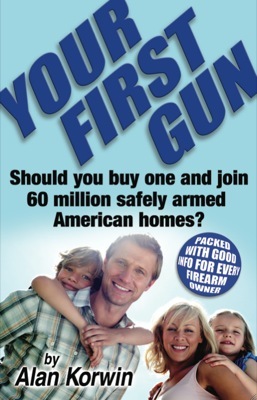 I say all the words used are designed to convince the reader to buy the product -- firearms safety training. We build the case, convince, urge, argue, do everything to compel the reader that it make sense and you should buy. This is about business -- who are they to call the sales copy a political "diatribe" (they did). Someone's got to say it. The "news" media and edutainment camps certainly aren't getting the message out. which for some of them may have been their first time ever. Virtually nothing. 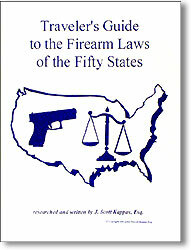 But lamestream stories of massacres as old as the Long Island railroad madman shooting in the 1990s that launched a political career have been flooding the public, with anti-rights screeds, in preparation for the Dec. 14 momentum aimed at enacting anti-rights legislation the nation has been steadfastly unwilling to pass. Nationwide events coordinated through the White House, using funding from billionaire NY mayor Michael Bloomberg, planned to recognize the calamity surrounding the massacre at Sandy Hook Elementary School in Newtown, Conn., have been kept out of the news. The thinly veiled anti-rights events will be staged as "remembrances" of the Sandy Hook psychotic massacres. Normal remembrances are typically somber low-key reflections kept out of the limelight, that do not attract and exploit "news" coverage. Some of these will be dramatically different. Newtown itself reportedly has decided to exclude news crews on Dec. 14. Good for them. Our hearts and condolences go out to them. Calls for guarding and protecting schools, which could help protect children, are largely falling on deaf ears. Increased scrutiny of mentally unfit people walking the streets, are rejected by some of the very people who are instead seeking to attack Second Amendment rights. Some misguided activists will work both openly and covertly to weaken or destroy the rights of Americans who had no part in the atrocities committed one year ago, against helpless victims in a make-believe gun-free zone perpetrated by teachers, "officials," anti-rights politicians and the Obama administration. "Politico reported Monday that weekly sessions on gun control have been held between the White House Office of Public Engagement and representatives from Michael Bloomberg's Mayors Against Illegal Guns, the Brady Campaign to Prevent Gun Violence, Moms Demand Action, the Center for American Progress, Organizing for Action and Americans for Responsible Solutions." (From my files, October) If they are compromising the Second Amendment they violate their oath and should be removed. This may seem quaint but it matters. Both pro-rights and anti-rights groups have announced intentions to use the anniversary, Dec. 14, and the next day, dubbed Guns Save Lives Day, to press for action on gun rights in America. Efforts to restrict Americans' right to arms, using the actions of psychopaths as a motivation, have thus far failed. News stories have been appearing for weeks listing various atrocities, committed by uncontrolled deranged individuals in pretend gun-free cities like Chicago and Washington D.C.
Show nothing but calm deference and respect when attending memorials. Think about your own children and families and how precious they are. Elsewhere, make signs on your computer for standard size paper. These show up well on camera and in newspapers. Use large block type that fills the page, between 120 and 300 points in size. The font shown here is called Impact and works well, lots of weight. then reproduce many at a copy shop. 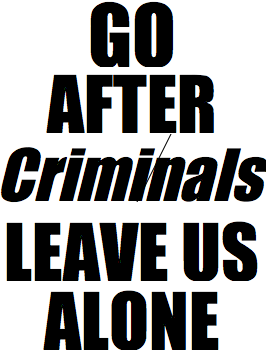 Print them out on colored paper for more visibility. Use card stock so they hold up better. You'll be spending dimes, very cost effective. Hold them up near your face, they get into the photo frame well. 100 signs costs a few bucks, multiplies your presence. Watch where the camera operator is aiming for best results. Stand behind people being interviewed, increase your exposure. Large poster boards get cut off, message gets lost, these are better. 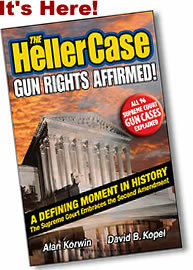 during the Heller case. Compare his visibility to the other guy. Some newspaper readers have never seen this message before. 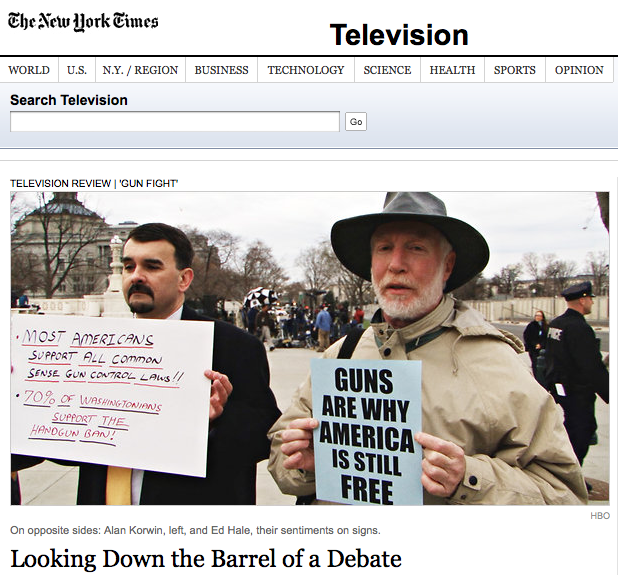 Here's the Uninvited Ombudsman, pictured in The New York Times. to the handwritten poster of the anti-rights guy. 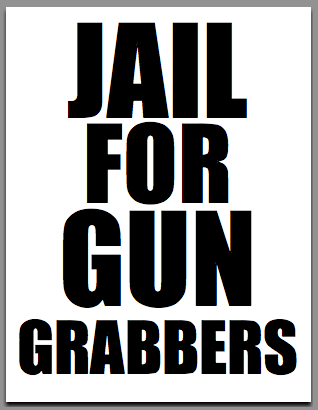 during the McDonald v. Chicago gun-rights case. Ours packed easily for the flight. Try these messages for any people "dancing in the blood of victims"
are the same people who want to take your guns away. when they're gone, that's it. and these don't change rapidly. you need to get one of these while you can. Everyone who gets one gets a free Guns Save Lives button with your order. And you heard it with your own ears, saw it with your own eyes, last year, at the final Presidential debate in Boca Raton, Mr. Obama repeated three times that the aim of his diplomatic overtures to the terror-sponsoring islamist Tehran regime was to "end Iran's nuclear program." Mr. Obama presses forward with plan"
Washington Post wakes up: "More than two weeks after a landmark deal with Iran, House Republicans and Democrats called the Obama administration’s approach to nuclear negotiations naive and signaled that they will slap more sanctions on the country despite warnings that doing so would torpedo the United States’ best chance in years at rapprochement." 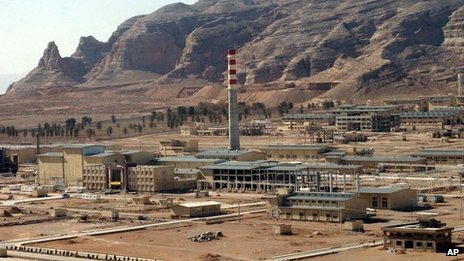 Obama's negotiators have offered and closed a deal with Iran to provide relief from punishing trade sanctions in exchange for virtually no concessions that allow the terrorists running the jihad-sponsoring nation to continue running their uranium-enriching centrifuges, and produce the precursors for nuclear bombs they say they don't want to make. They have more than 10,000 centrifuges enriching uranium 24 hours a day (up from 1,200 when negotiations began). 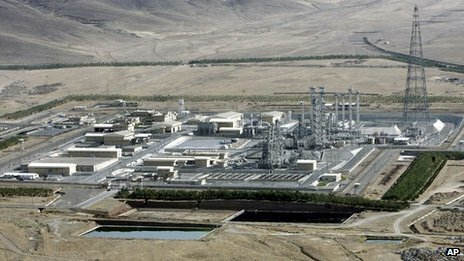 Iran will allow inspections at two of its nuclear development sites as part of the deal. It has at least 12 sites. This is one of them. You can find them all on the web like I did. In other words, they proceed toward bomb making in exchange for getting billions of dollars. Say what? It is no deal at all. Why would the Christian president of America do that for islamist terrorists running Iran? Israel's Prime Minister has already warned us, "Today the world has become a much more dangerous place." Israel's Economics Minister, Naftali Bennett, said: “If a nuclear suitcase blows up five years from now in New York or Madrid it will be because of the deal signed this morning.” Read that quote again. Hundreds of cheering supporters greeted Iran's negotiators as they arrived back in Tehran on Sunday, after reaching an interim nuclear agreement with the US, Russia, China, France, the UK, and Germany. Carrying flowers and Iranian flags at Tehran's airport, they hailed Iran's foreign minister as an "ambassador of peace." 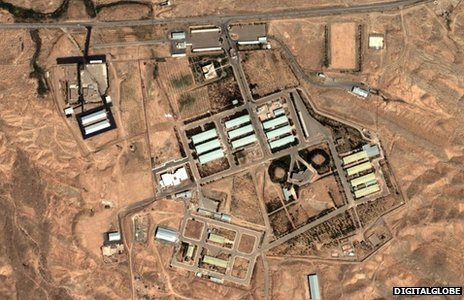 "There will be no further development of the Arak plant, Iran says, which it is believed could produce plutonium, and is not included in the inspections." Secretary Kerry could not be reached for comment. Could not be reached for comment. Use telemarketing pests, don't hang up on them. Don't just hang up on these annoying slugs like you do now. It's easy. It's fun. It's a tactic that works. I do it all the time, you can too. It's a gas! 1 - Take control of the phone call after they ask their first question. They always ask a question, that's how telemarketing works. You ask, "Can I ask you a question?" 2 - Ask: "Do you own a gun?" "Ya know, that's dangerous. What if someone breaks into your home?" Be silent. You've planted the seed. Talk to them for as long as you like. They have forgotten why they called. You are reaching a person who needs to be reached. 4 - You ask: "What state are you in?" 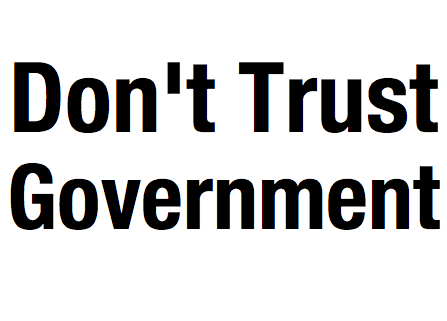 And then: "Are you a member of your state gun-rights group?" Convince them into every group there is, for all the right reasons. 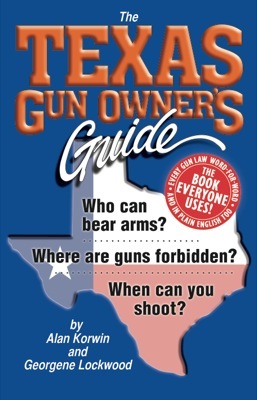 and knowing your gun laws and what to do after a shooting. Hey, it's a sales call. It's a two-way street. but thanks for talking with me. Have a great day!" Stop wasting telemarketers on the phone. Leaves you feeling all warm and fuzzy inside. Many of them thank me. Others don't know what hit 'em.